The Control Safety Traffic Light Concept features an LED display that gradually changes the colors from Red to Green, with the Amber (or Yellow) fading in and out; between the changes. Solar panels and a security camera are integrated into the design for obvious reasons, and the whole thing works in conjunction with similarly designed pedestrian lights. Two features make this different from rest of the concepts seen before; emergency vehicles (police, ambulance, fire brigade trucks) are detected from a distance via “smart sensors” and thus the lights change automatically to facilitate their quick passage. The other thing is that it can display info like road condition, weather, etc., for the drivers sitting idle at the stop sign. 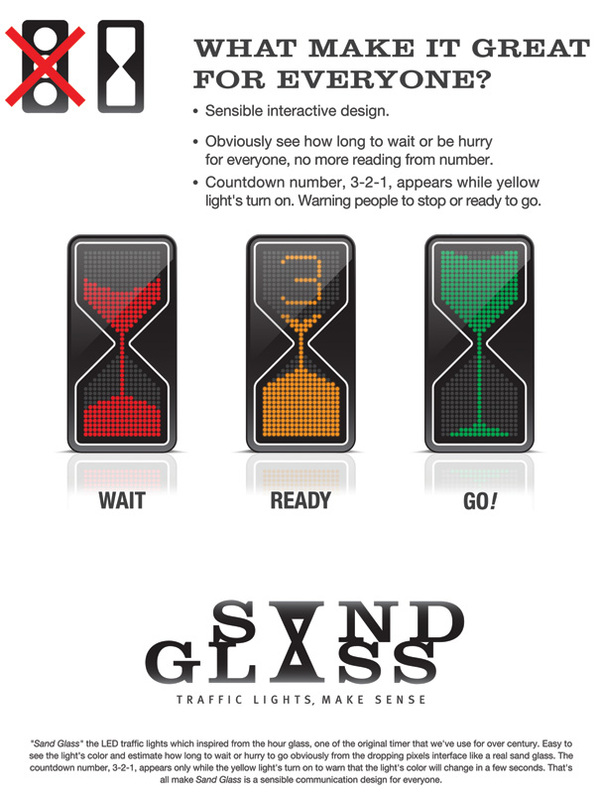 The Sand Glass is a new look at traffic lights and this dimension using the sand-hour-glass as its model. LED lights trickle down to make an obvious statement, regarding the time left for the lights to change. 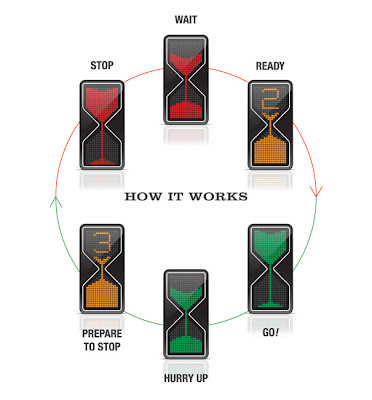 Easy and intuitive.